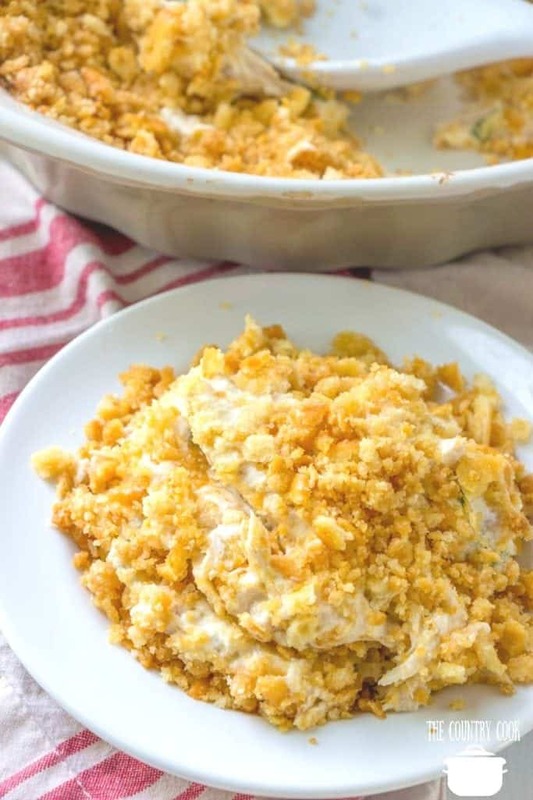 Ritz Chicken Casserole only has 6 ingredients! It is a family favorite! 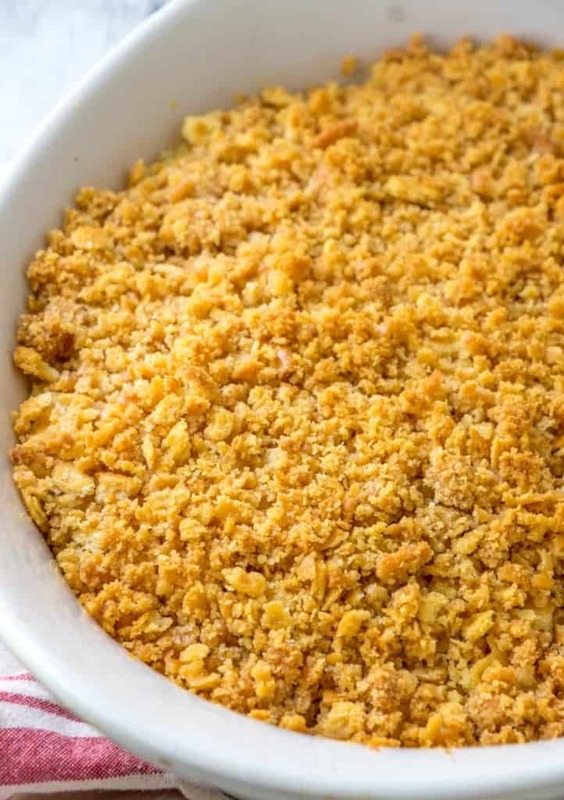 Creamy deliciousness with a crunchy Ritz cracker topping! So good! This casserole is a go-to classic favorite. It’s one of those recipes that can be whipped up quickly and you don’t have to buy a long list of ingredients to make it. It can even be made ahead of time and frozen to eat for later. WHAT DO I SERVE WITH THIS CASSEROLE? I love to serve this with some fresh veggies like steamed broccoli, corn or GREEN BEANS. You can also add those veggies directly into the casserole if you want. Also, a yummy green salad with lots of veggies would be perfect! 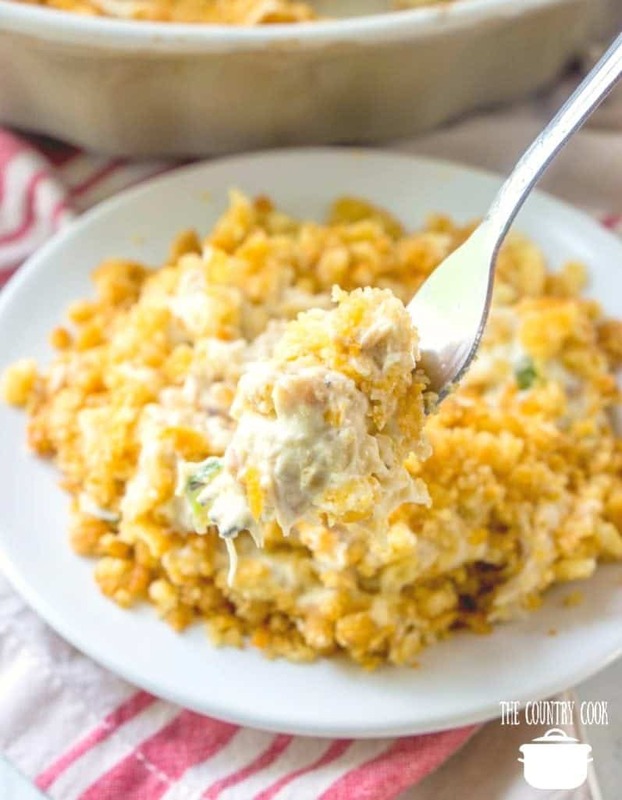 CAN I FREEZE RITZ CHICKEN CASSEROLE? I can never have enough chicken recipes. But sometimes you don’t need a big ole casserole. So, you can split this recipe and put it into two smaller pans. Make one now and freeze on for later. Like with all freezer meals, it’s super important that you wrap it up well so you’re not dealing with freezer burn later on. Preheat oven to 350f degrees. Spray a 2.5 quart baking dish (or a 9×9 square baking dish) with non-stick cooking spray. 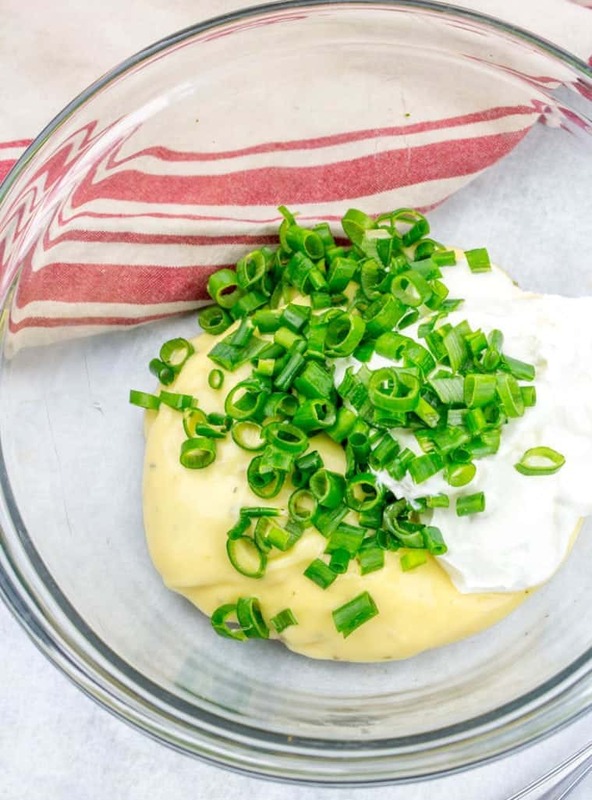 In a large bowl, mix together the soup, sour cream and green onion. Spread mixture into the prepared dish. 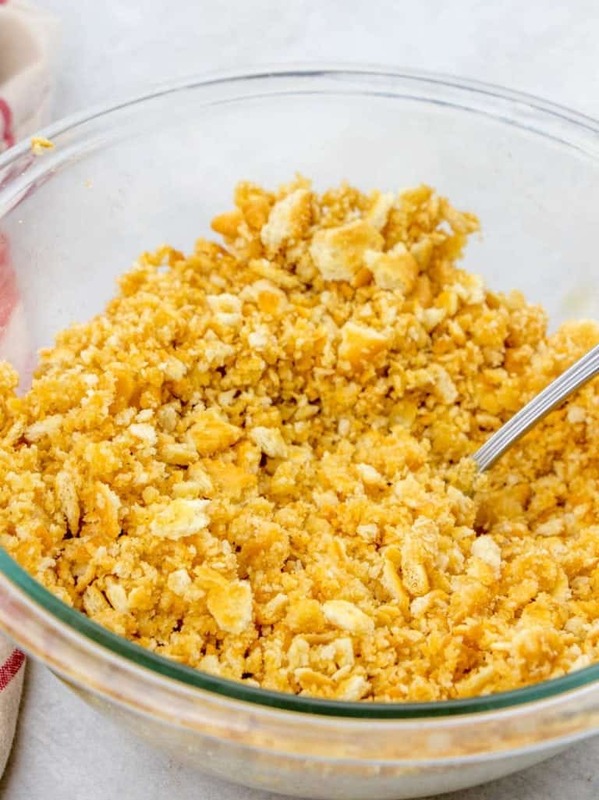 In that same bowl, combine crushed crackers with melted butter. Sprinkle the cracker mixture over the casserole. Bake for about 25-30 minutes until the cracker topping is golden brown and the casserole is bubbly. Serve with your favorite vegetable or salad! 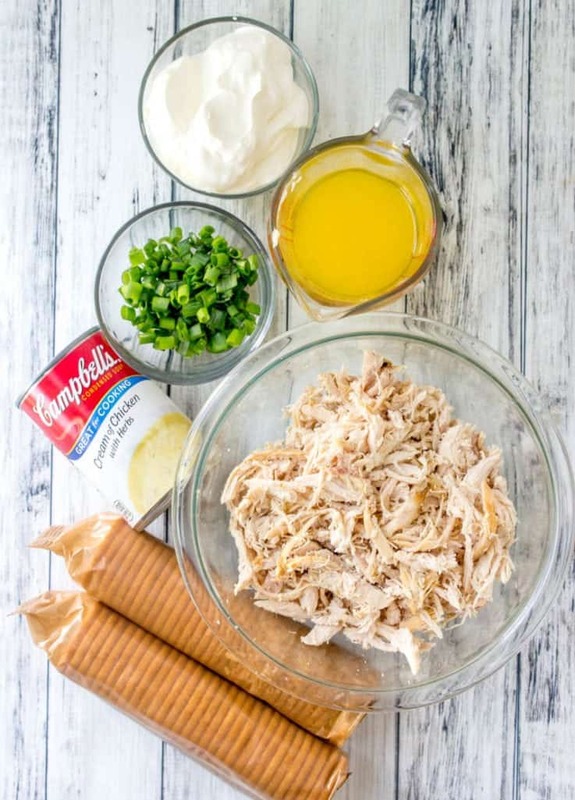 Ritz Chicken Casserole only has 6 ingredients! It is a family favorite! 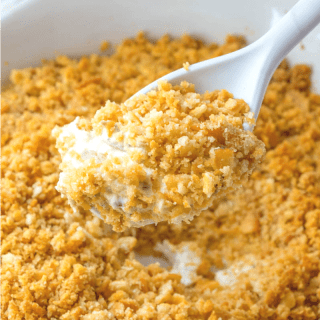 Creamy deliciousness with a crunchy Ritz cracker topping! So good! Spray a 2.5 quart baking dish (or a 9x9 square baking dish) with no-stick cooking spray. In a large bowl, mix together the soup, sour cream and green onion. Then stir in chicken. Spread mixture into the prepared dish. In that same bowl, combine crushed crackers with melted butter. Sprinkle the cracker mixture over the casserole. 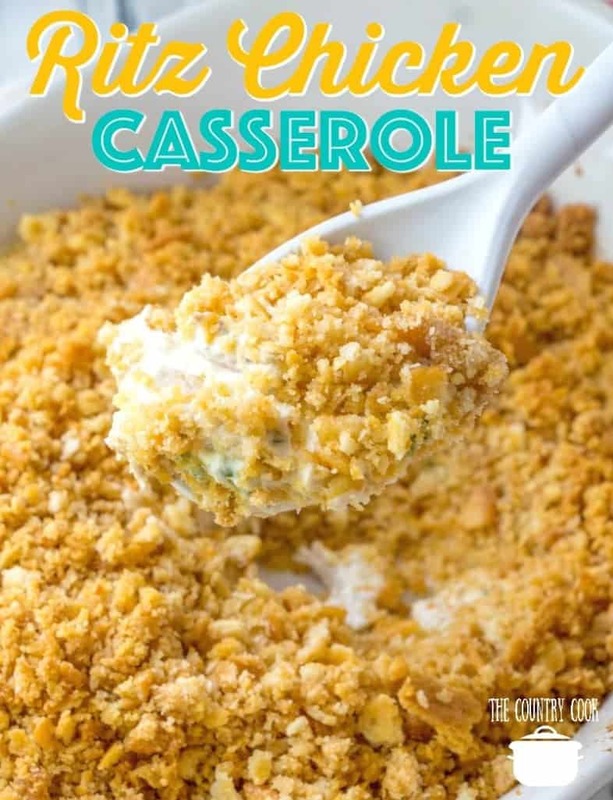 Bake for about 25-30 minutes until the cracker topping is golden brown and the casserole is bubbly. 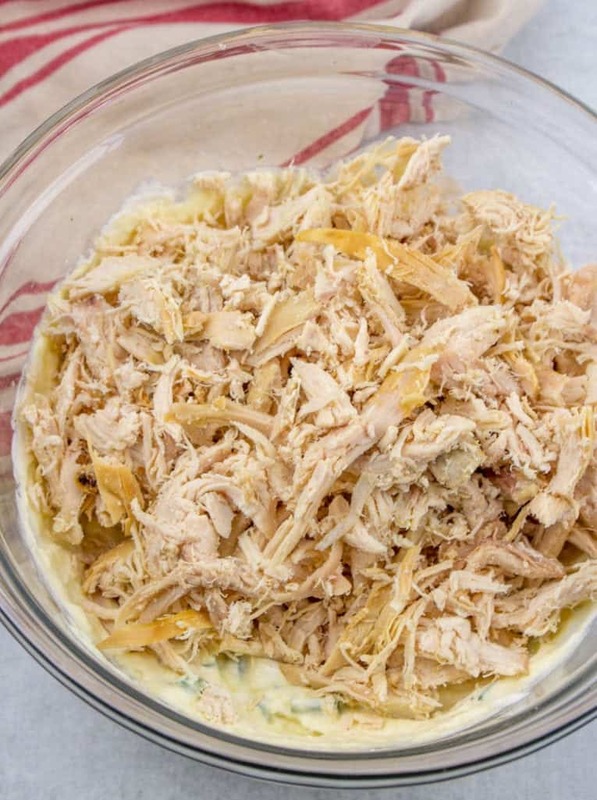 Add in one cup of shredded cheddar cheese to the chicken mixture for over the top flavor! 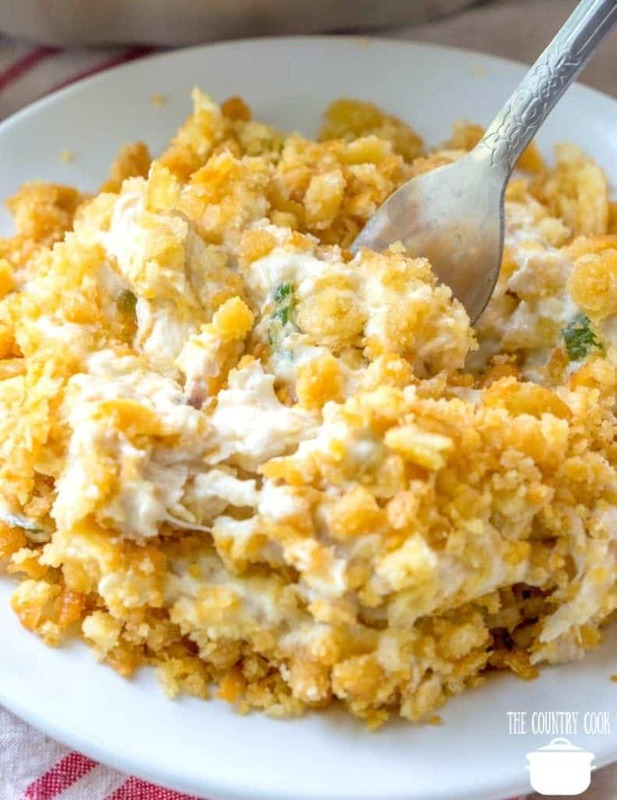 WANT MORE CHICKEN CASSEROLE RECIPES? CHECK THESE OUT! I used cream of bacon soup. We loved it.